Too expensive, or good value for money? Local dentist examines how dental charges can vary. There was an article in one of the ‘big dailies’ last week and the headline read: ‘Is your dentist ripping you off?’ It then went on to report that some dental practices charge five times as much as others. Of course they do. Not all dentists are the same and some will definitely offer a far superior service than others. Then there are geographic considerations – in some parts of the country, in London for instance, it will always be more expensive than in other areas. Whether it’s a meal out, the theatre, housing or hairdressing, whatever … there will always be wide variations in charging levels. It’s called ‘market forces’ and it definitely does not mean ‘rip off’. As a successful, progressive and highly-respected local dentist based on the Northern outskirts of Manchester we believe that our prices realistically reflect the excellence of our service, the professionalism of our staff, the high-calibre of our technology and dental products and of course the outstanding results and patient satisfaction on which we pride ourselves. Most of all we believe that our fees are extremely competitive! There is an old saying that goes: ‘You get what you pay for’, and putting regional variations in costs on one side, generally speaking that saying could not be more true. For example, in the world of dental treatments not all dentists provide the same quality or level of service. We know, for instance, that some will spend as little as five-minutes when they carry out a routine dental health check, whereas at Carisbrook, as a leading local dentist, we spend a minimum of 20-minutes. In other words our examinations are far more rigorous and we check not just for tooth decay, gum disease and general dental health and hygiene standards, we also undertake a thorough mouth cancer screening. Similarly, all our dentists and hygienists have achieved the highest professional qualifications. The technology we use is amongst the latest, most innovative and best available. We only select the highest quality dental products. And because of all this the results we achieve and the outcomes of our treatments are truly exceptional. 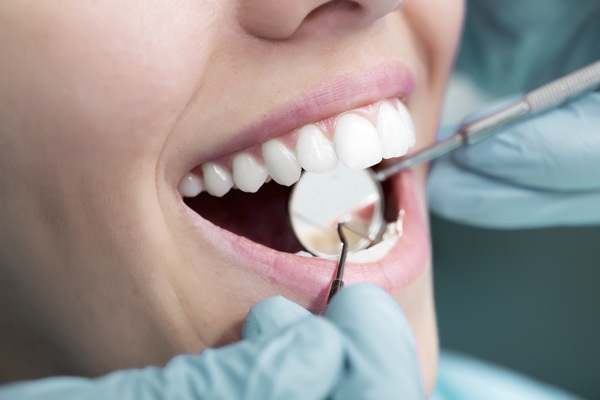 Within our local dentist clinic we also include a number of highly experienced in-house dental professionals whose specialist qualifications cover orthodontics and cosmetic dentistry procedures such as porcelain veneers, dental implant solutions and teeth whitening. As we said, we believe that not only are we are extremely competitive, but we promise that our patients will never receive unexpected bills for their treatment. Before commencing any course of treatment we provide a written report that details the problem, the solution, the treatment … and the cost. So there are never any nasty surprises. In addition we also offer a range of Patient Plan Options that help patients to spread the cost of treatment and for as little as £0.37p per day it covers routine examinations, hygiene visits, x-rays, 20% discount on all treatments (excluding specialist treatments and cosmetic treatments) plus dental accident insurance. If you would like to compare the competitiveness of our costs and our exceptional standards for yourself and arrange a FREE CONSULTATION with no strings attached, then contact Carisbrook the leading local dentist practice. You can phone us on 0161 951 7295 or you can use the online form on our New Patients page.